Browse: Home / Why has Jamaat failed to become third alternative? Why has Jamaat failed to become third alternative? KARACHI: I still remember my last meeting with late Qazi Hussain Ahmad, the most energetic Amir of Jamaat-e-Islami, months before his death in which he explained why Jamaat failed as a third alternative to PPP and PML (N). Pakistan Tehreek-e-Insaaf, PTI, under the charismatic leadership of Imran Khan, has perhaps filled this vacuum. So, is any space available for JI or will it continue to operate through alliance and coalition politics? On November 21, at Minar-e-Pakistan, JI will be making another attempt to give an alternative program to the people in a bid to gain more electoral support in the next general elections. 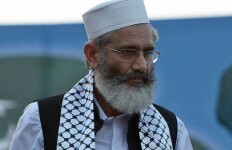 Can Jamaat, led by its youngest Amir, Sirajul Haq, do it? In the post-1979 Iranian revolution followed by developments in Afghanistan, the radicalisation also had its impact on the politics in Pakistan. Religious extremism has increased with the formation of dozens of big and small religious groups, beside a number of militant organisations. Thus Jamaat’s task has become more difficult to choose between pro-democracy and anti-democracy religious factions. Qazi Hussain Ahmad, the longest serving Amir of Jamaat after its founder Maulana Muhdoodi, took some initiatives but faced strong resistance from the party’s old guard. As a result he once resigned as party head, but the central shoora rejected it and he continued. Post 9/11 developments in Afghanistan, particularly the US-led NATO attack further escalated extremist politics in the region. Jamaat and other religious parties exploited the anti-US sentiments because of the silence of the so-called liberal and secular parties. PPP had abandoned its anti-US stance in 1986 while ANP become a pashtoon nationalist party unlike NAP. This space was filled by the parties like JI and JUI. Jamaat got major success under the banner of Muttahida Majlis-e-Amal, MMA in 2002 elections on anti-US slogan. The alliance emerged as the main opposition in the National Assembly and also formed coalition government in Kyber-Pakhtoonkhwa, Qazi Ahmad’s home province. But the split in MMA and its poor performance in Khyber-Pakhtoonkhwa resulted in its defeat in the 2008 elections. The division in JI and JUI was fully exploited by the rising Pakistan Tehreek-e-Insaaf in the 2013 elections. PTI, because of the charismatic personality of Imran and due to party’s liberal posture has become a major political force now but the same cannot be said of Jamaat. How will Jamaat’s programme be different from PTI to attract the middle class? 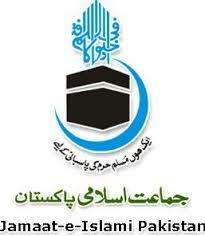 JI will be giving the concept of “Islami Pakistan.” What is new in this slogan? One has to wait and see what program it will give to the people. Today, Pakistan’s major challenges are extremism, corruption, poverty, unemployment, education, health and inefficient justice system. JI claims to be against the “status quo,” but some critics in other religious parties and groups, who don’t believe in democracy, believe it is a “status quo” party. 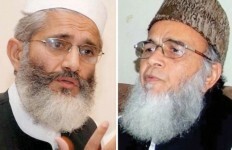 JI and JUI (F) are the two most prominent religious parties, which believe in bringing “Islami Nizam,” through Parliamentary system, but this idea is opposed by many other strong religious groups including Jamaat ud Dawa (JUD). JUD, which emerged as a very powerful group post-9/11 and is known for its social work and for its stance on Kashmir, and is also holding its convention at the same venue on December 3-4, completely rejects the idea of bringing Islamic revolution through elections. It had even prevented its members from casting their votes in the last general elections despite request from parties like JI and JUI (F). Thus, one of the biggest challenges before JI would be not from the liberal and secular parties like PPP, PML, ANP or MQM, but from parties like JUD.JI, JUI and JUP often claim credit for introducing Islamic provisions in the 1973 Constitution but the fact remains that they hardly had any major representation in Parliament except in 2002. For instance, JUI in the 70s formed coalition government with secular National Awami Party, and JI contested elections from the platforms of PNA, IJI and COP in 1977, 1988 and 1990. For the first time since 1970 elections an ideological JI contested elections with its traditional election symbol “Tarazoo,” last year, but could not succeed except in Khyber-Pakhtoonkhwa. In 1993, Qazi Hussain Ahmad made an attempt to give some liberal colour to JI to challenge mainstream parties when he formed Pakistan Islamic Front and introduced youth organisations like Pasban and Shabab-e-Milli. His most serious attempt to unite the religious forces was through Milli Yakhjehti Council, MYC, and he also drafted a “charter” for the unity. Later, he also tried to revive MMA but faced resistance from his successor, Syed Munawar Hasan. In the 1970 elections JI suffered humiliating defeat at the hands of liberal and secular parties like the then Awami League, NAP and PPP. This led to a serious debate in the party whether to go it alone or adopt alliance politics with the common minimum agenda. They also reviewed their stance about the leftwing or progressive parties. Ideological parties have always struggled in Pakistan but those who opted for “liberal politics” often got popular support and vote. PTI led by Imran Khan is the recent example. 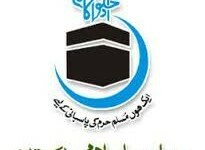 It has a strong support base among the students though JI’s students’ wing Islami Jamiat-e-Tulaba, IJT, still has strong roots in the campuses. But, it is an eye opener for JI and IJT why their rigid politics could not get such support. The matter of concern for Jamaat is why some junior parties have been able to gain so much popularity in an ideological State while ideological parties have failed. Why religious parties like JI could not present themselves as third option for the people. Can the slogan of “Islami Pakistan” be more attractive for the people than “Nizam-e-Mustafa” slogan of 1977? I believe the presence of too many religious parties and extremist groups have confused the common man and it is the biggest challenge for Siraj ul Haq and JI to remove this confusion as both JI and PTI want “Islamic Welfare State,” but their politics and policies are different. The Jamaat will have to wait till PTI is tested. Perhaps, they should give some serious thought to the suggestions given to them by late Qazi Hussain Ahmad in his three columns published in Jang before his death.